Easy to Carry and Easy to Set Up. Folds flat for Convenient Storage. Finish Provides Long Lasting Protection. Includes Eight Ground Anchors. 9 & 11 Gauge Wire 1 1/2 x 6 Mesh. 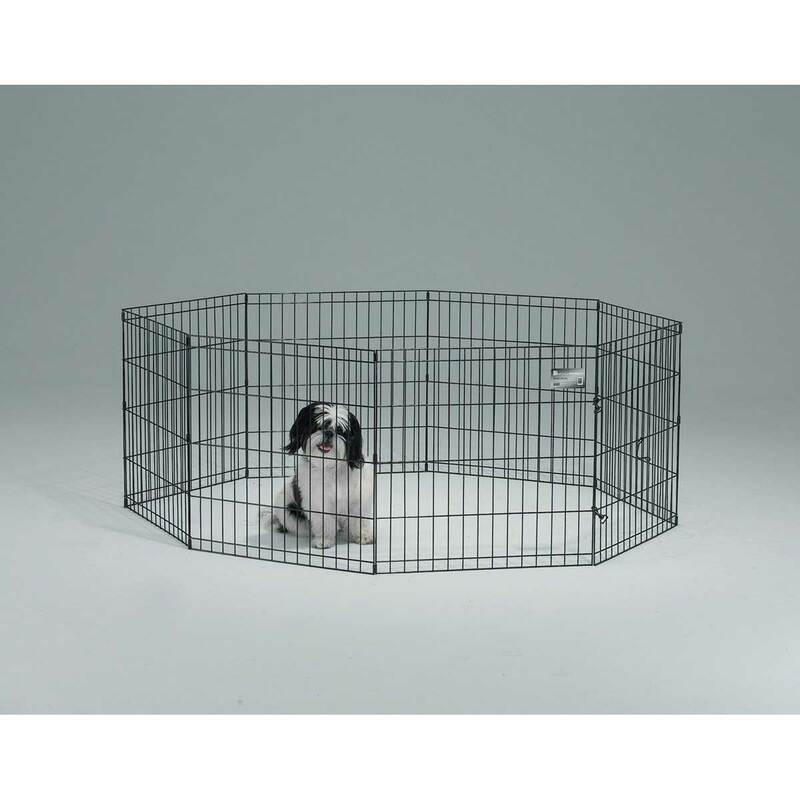 Rounded Safety-Corners Protect Pets, People, and Surfaces. (Measures 24W x 36H, Weighs 29 lbs.) Provides 16 Square Feet enclosed area.